At Morano Gelato, Morgan Morano has created a unique gelato formula that pays tribute to the art of making-gelato while creating a gelato product unlike any other in the market. Each flavor is custom-made using specific ingredients. If you are an existing gelato business, ice cream business, or entrepreneur looking to open his/her own gelato store, our Morano base can be an option for on-site, artisanal production. We will work with you and your staff to tailor our base with your offerings, including training on recipe preparation, development, production, extraction, and storage. Please email us at info@moranogelato.com for more information. 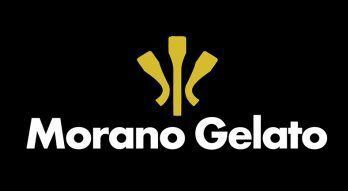 Morano Gelato has launched its own dry mix for customers looking to create traditional Italian gelato at home! Our Fior di Latte (sweet cream) mix requires just milk, cream, and kitchen equipment including a home ice cream machine, allowing customers to enjoy this flavor and many variations with minimal effort. Our mix is currently available in our two stores - for more information including pricing and how to order, please email info@moranogelato.com. Already have the mix? Email info@moranogelato.com for extra recipes/variations to our sweet cream base! More recipes can also be found in our book, "The Art of Making Gelato: 50 Recipes to Make at Home," available online and in stores in a first and second edition.